Oft neglected for the more obvious attractions of cruising around the Balearics or sailing in the Canary Islands, Spain’s North Coast is also an incredibly rewarding cruising area with a wild and verdant coastline, fantastic beaches and charismatic cities like San Sebastian, Bilbao, Santander, Gijon, La Coruna and Vigo to discover. Unrecognisable, geographically and culturally, from the South of Spain, forget dry dusty plains, sherry and flamenco and embrace instead the rich and diverse cultures of the Basque Country, Cantabria, Asturias and Galicia, with their warm hospitality, lush unspoilt landscapes, traditional fishing villages and their world-renowned cuisine. The Bay of Biscay, the huge body of water between Spain and France, is of course famous for its treacherous sailing conditions during winter, and only the brave / foolhardy would plan on cruising this stretch of coast between October and April, when Atlantic storms can blow up and cause ports to close. 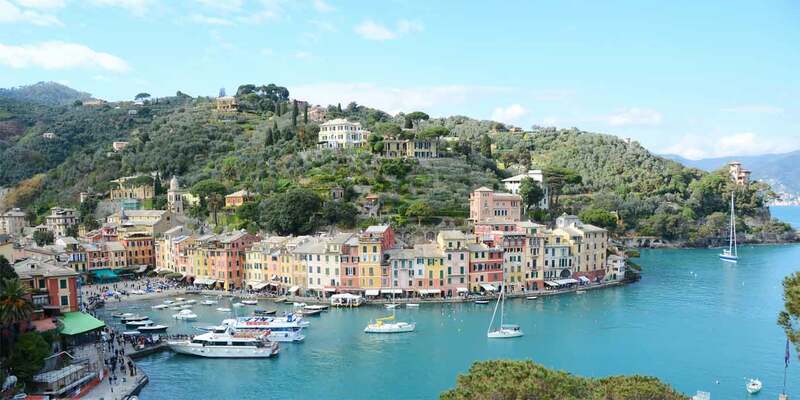 The best time for chartering a yacht and planning your holiday is sometime between June and September, when the ocean is at is most serene and you’re more likely to get beautiful sunny days, than the wet and windy ones the region is famous for off season. The most comfortable way to sail the Northern Coast is from East to West, as that’s the direction of the prevailing winds during summer… so we’ll organise our guide that way too! The Basque Coast starts at the border of France (in fact you can also search for yacht charters from the French ports of Hendaye or Bayonne) and the astute traveller will quickly notice the cultural differences between the Basque Country and the rest of Spain. This fiercely independent province has its own language (which is very very different to Castillian Spanish!) and culture, and offers a rich new world to explore for the curious minded. 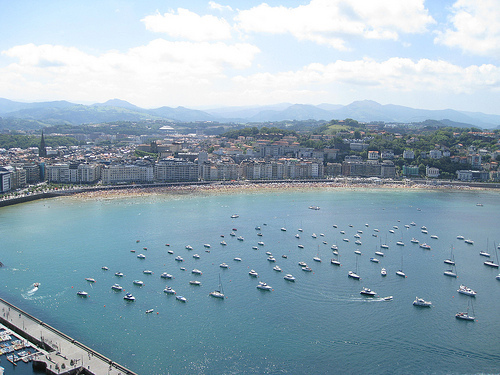 No sailing trip itinerary for these parts would be complete without calling by on San Sebastian, or Donostia as it’s known in Basque. Sitting in the majestic La Concha Bay, the town was a favourite of Hemingway thanks to the natural beauty of the beaches and coastline combined with the charm of its old city. Despite its popularity, especially during summer when boats crowd the marinas, the city hasn’t lost its charm, and the tapas bars, serving traditional Basque pintxos, are said to be the best the country. 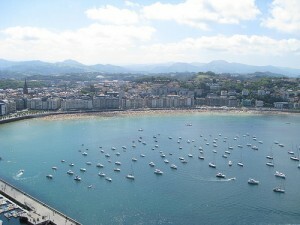 With its own international airport San Sebastian also makes a fantastic base for a sailing vacation. Continuing along the coast you’ll find many small fishing towns and ports which you can stop in as you make your way to Bilbao, the Basque capital. Here, in a bustling and lively post-industrial city, sliced in two by the river Nervion and surrounded by green hills, you’ll find the famed Guggenheim museum, great nightlife and more great Basque cuisine! With flights arriving to the city from the UK and the rest of Europe, Bilbao is also a great place to set sail from. The lush green coastline continues when sailing into Cantabria. Here a coastal strip of low, wide and gently rolling valleys, meet the ocean in a line of abrupt cliffs, punctuated by river estuaries, rias and beaches. The beautiful resort city of Santander occupies the largest bay of North Spain and is rich with maritime heritage. Its famous beach El Sardinero is flanked with elegant restaurants, hotels and a casino, whilst the town has no less than four marinas where you can anchor your yacht – or charter one if this is the chosen starting point of your sailing holiday. Cantabria is also famous for its caves and stone age cave paintings… so those with an interest in prehistoric times should set aside a day for an excursion inland. 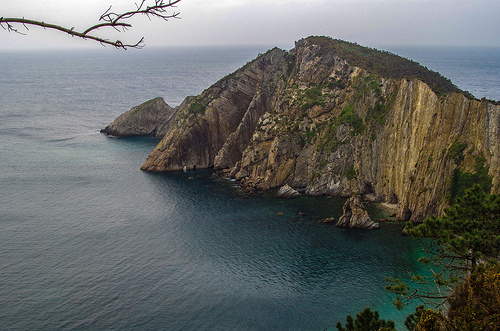 The Asturian coastline is not dramatically different to that of Cantabria, and as such is marked with hundreds of beaches, coves and natural sea caves, including the famous Playa del Silencio (Beach of Silence) near the fishing village of Cudillero (west of Gijón), backed by green cliffs. It’s well worth stopping off at Gijon, the biggest city of Asturias, which is famous for its cultural and sporting traditions as well as being the home of traditional Asturian cuisine – including Asturian cider! 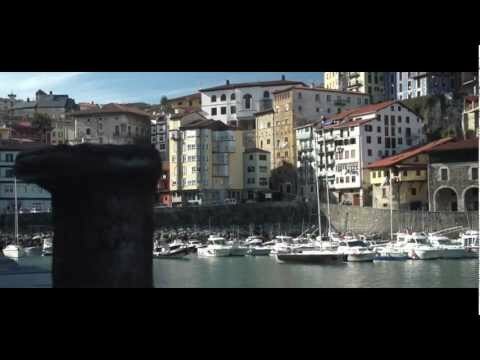 Those who wish to mix sailing with excursion inland can also check out the beautiful town of Oviedo (as featured in the film Vicky Cristina Barcelona) and the Picos de Europa which was Spain’s first national park, and forms part of the Cantabrian mountains which stretch into Asturia too. Galicia is another part of Spain that is not truly Spanish, and has its own distinct culture and language. The region starts where Portugal leaves off and so encompasses all of Spain’s West Coast and a small part of its Northern Coast too, where is borders Asturias. The Galician coastline is also known as the Costa do Marisco – aka Shellfish Coast – and if it’s fresh seafood you’re craving there’s nowhere better in the world to hoist a jib! Sailing in Galicia is all about visiting the unique geographical treasures that are the Rias de Galicia. Most of these vast flooded river estuaries, often surrounded by dramatic cliffs, form cruising areas to themselves, with beaches, marinas and anchorages and a pleasant calmer retreat from the often tough winds out on the Atlantic ocean. They also attract a lot of Spanish tourists in summer. For yacht hire and rentals you’re best looking for boats from the city of La Coruna (aka A Coruna), which has three marinas including the 700-berth Marina A Coruna. The city also boasts a lively cultural and nightlife scene, plus an airport, so its a feasible place to start your sailing vacation from. Vigo, the Galician capital, is your other option for exploring the Rias, and is further south almost on the border of Portugal, and you can also fly directly here from London and Paris for example. Once you’ve decided which part of the North Coast you’d like to explore send us an enquiry and we’ll help find you find you a great deal on a boat. Or else read on for our guide to sailing in the rest of Spain.